This post is for US based travellers! Emirates, one of the best airline in the World has some amazing fares from its North American destinations to Kuwait City, Kuwait. 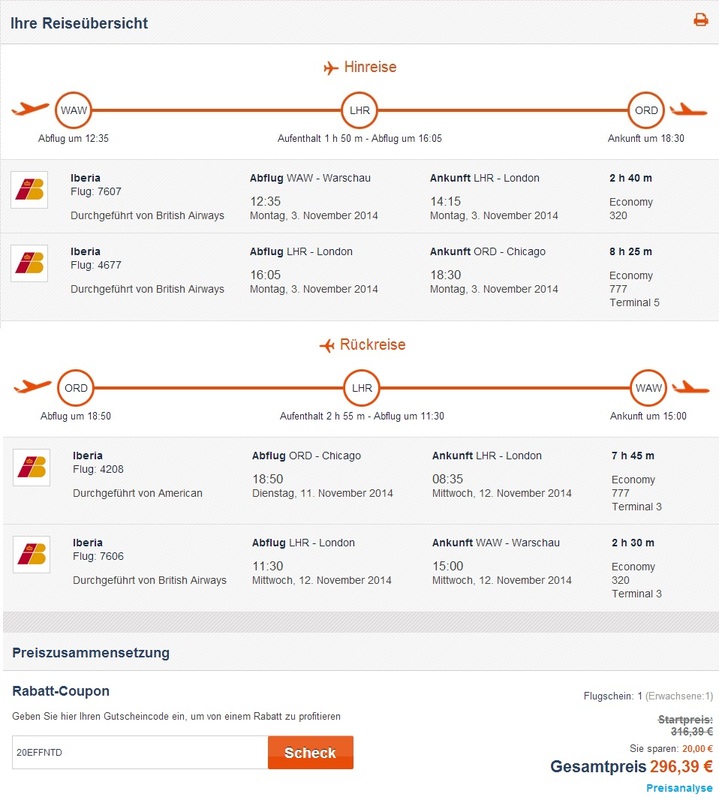 The cheapest combination is originating from Chicago to Kuwait via Dubai and back to Chicago for only €221! You can have a long layover in Dubai if you would like to spend some time in Dubai. This trip is also works as a weekend getaway: flying out on Friday evening and arrive back to Chicago on Sunday afternoon! You can also depart from New York, Dallas or Houston for a slightly higher price. 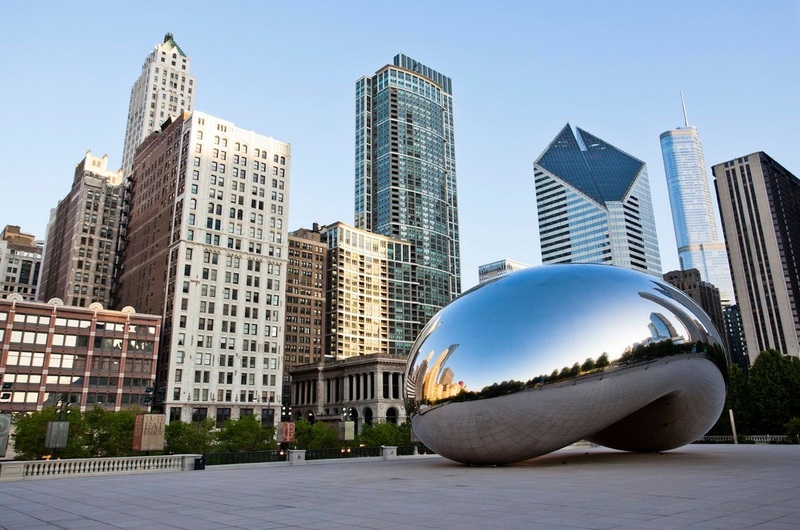 Chicago from Warsaw for €296 – round trip! 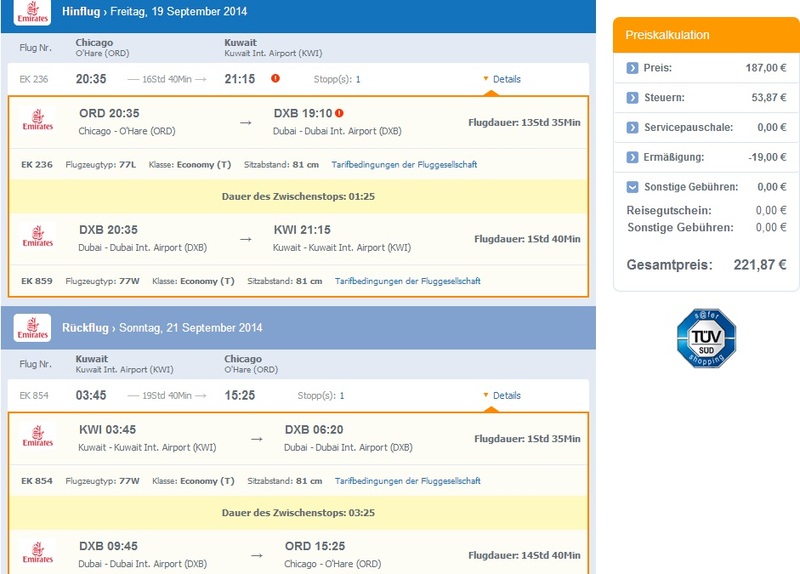 Thanks to the new 20€ promotion code of Airfasttickets.de now you can book a round trip ticket from Warsaw to Chicago for only €296! Flying with British Airways with a transfer in London on both ways. Travel period: November 2014 to April 2015. Please use the flexible +/- 3 days search to find possible travel dates.